Any animation studio, whatever the difference in the techniques they use, work in basically the same way, and have to work through the same processes to produce animated films. It all starts with the generation of an idea and its development. A member of the studio will sponsor an idea for a film or a product, and will take it through a selection procedure. If it is adopted, (and that's a big if) this idea will start to be fleshed out giving a storyline and some scenes. These are further developed by producing storyboards, similar to strip comics, which start to capture the "look" and feel of the movie and many of the characters and scenes. This process finishes by making "reels", video mocks of the cartoon, to see if it stands by itself. If it doesn't flow or work, it's back to the drawing board. The art department then starts to work on characters, making 3D computer models and adding animation. They produce backgrounds, sets which have to be dressed, and then scenes can be cut - characters animated - the Pixar studio likens this to using puppets, ready made and then movement is added. Maya is a common and popular tool in the animation industry. Voices are recorded, often with several different cuts and then a selection of the best fits will be made. Music and other sound effects are worked on. The scenes are polished - shading, lighting and illumination added to give a deep and realistic feel to the animation, and finally they are "rendered" - all the layers of technical information are put together to form the frames. Any remaining technical issues are resolved at this stage, and the final film is ready for release. 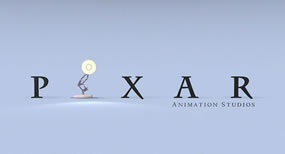 Whether a movie is made in a Pixar studio or a Disney studio, the process is the same. Animation is big business, and the technical process is extremely sophisticated. The demand and stress are high for all involved, but the end result can be something quite exceptional.